Late last week, unknown Chinese model Li Ling made a name for herself after causing a ruckus. She appeared at the China Joy gaming expo in a highly revealing cosplay. Dressed as Athena, Ling caused quite a stir. Her revealing costume showed off more than her underpants—way more. 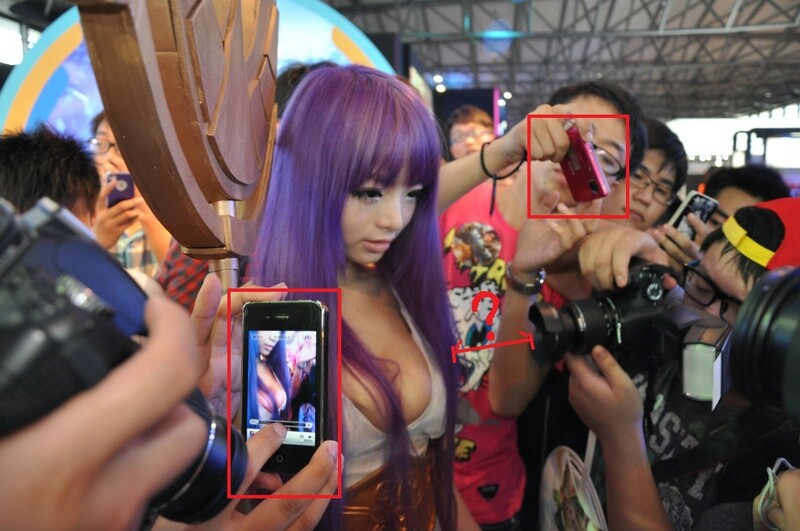 Online in China, some heralded Ling's arrival, while others dubbed her outfit "vulgar", and even criticizing the game developer, ZQgame, who contracted the model to promote its new Saint Seiya game. Ling's appearance and outfit was orchestrated game PR. China Joy's organizers, who have been cracking down on revealing outfits, told Ling not to come back to the event after her first day on the job. What's more, organizers allegedly criticized the ZQgame and even demanded that the game company end its contract with Ling—which the company appears to have done to avoid reprocussions from China Joy's organizers. I was not allowed to take part in the following two days' activities too. It came all of sudden, I don't know how to do the next. I just wanted to do my own job well. Every showgirl works very hard, behind every smiling face is our bitterness. You have to move on, everyone. With the instant fame Ling now has, that shouldn't be too difficult.